Specially tailored to the needs of the hairdresser, the deep cleansing formula of the OPUS MAGNUM signature cleanse makes one thing special: to keep your hair properly clean. signature cleanse is a deep cleansing vitamin C based product. Its highly acidic pH effectively removes silicone or mineral deposits and any residue from hair care products. Silicone and mineral deposits in the hair are caused by the daily use of commercial shampoos and too hard water in the shower and prevent the optimal effect of treatments and care products as well as the uniform coloring of the hair. Metal deposits such as copper, iron, lime, calcium and magnesium, which are caused by old water pipes and chlorine residue and dry out the hair, complain, appear dull or change color, are effectively eliminated with the OPUS MAGNUM signature cleanse. Green tones caused by chlorine water make it disappear. And that's not all: thanks to its high vitamin C content, OPUS MAGNUM signature cleanse promotes hair growth and at the same time strengthens the hair structure. 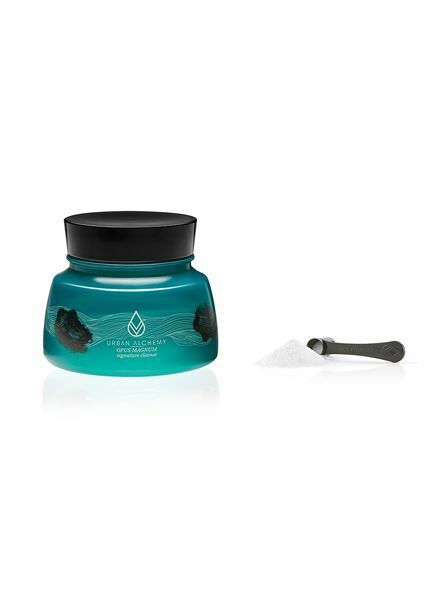 Tip: Optimal results are achieved in combination with a continuing OPUS MAGNUM salt scrub cleanse treatment at home. For the application is best the OPUS MAGNUM application bottle .